43 Commercial Real Estate & Properties in Roma are listed in 6 categories. We have 17 Development LandsSale , 16 Industrial Warehouses Sale , 6 OfficesSale , 4 Retail ShopsSale , 2 Hotels and LeisureSale and 1 ShowroomsSale . 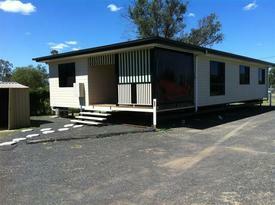 Excellent opportunity to own your own piece of Roma Real Estate.Situated in the heart of the very busy town. Large 1018 QM block with a modern building. The building currently has a reception area, cafe, men's and ladies amenities, games room, and cinema. This property is set up for a commercial business. Or this could be your family home. Modern 3 bedroom home plus office. Modern throughout with open plan kitchen dining lounge. Air conditioning. Bathroom is modern. Separate toilet. Massive shed with awning fully powered and lockable. The shed has it's own bathroom toilet. Fully fenced with 6 ' fencing double gates. 500 m to Roma CBD. 1012 square meter block. Currently rented at $1672.92 per month. Corner of Warrego and amp; Canarvon Highways. Land Area: 4.26 hectares (10.5 acres). Zoned Industrial. D.A approved for 2 x 2000 sqm sheds. Infrastructure Agreement completed with the Maranoa Regional Council for infrastructure contributions. Access from Warrego Highway. Warrego Hwy intersection and access road to be constructed. Intersection and road design have been completed by Baker Rossow Engineers. The site is well located on the eastern side of Roma and is clearly visible to all traffic flows. First major site inbound from east. All services are available. Sale Price: $2.85/m + GST. approx..
Prime Roma Industrial Investment EOI Closing 20th October ..
First Class Roma Industrial Facility - In Liquidation EOI Closing 2nd November ..
Area: 20,000 sqm Flood Free Gently sloping All services available Access for road trains Ideal for storage yard or transport depot approx. Commercial/Retail Premises in McDowall Street Roma. Ideal location for a retail business. 200 m² of airconditioned showroom, plus office, lunchroom, storage, toilets and car parks. approx. Site contains an area of 2.89 ha (7 acres) and is located on the western side of Roma It has ready access to the Warrego Highway It has two Titles which allows flexibility of planning for an operator or investor The site is level and all normal services are available The site would suit a variety of industrial users approx. "warrego Place" Professional Office $475,000.00 + GST if appl..
DA Approved for 69 lots, areas from 800 m² to 1180 m² Operational works approval has also been received. Roma has limited stock of developed residential lots Adjoins a new subdivision which has been completed and the majority of the lots have been sold. Approx. Land Area: 4.17 ha (41,700 sqm) Zoned Industrial Gravel hardstand to total site Security fenced Small shed: 80 m2 New shed 18 metre x 18 metres = 324 m2 Main adminstration building contains offices, kitchen, bathroom, covered area, store rooms etc Council approval for the construction of an additional shed each 18m x 18m Ideal for heavy transport or plant and equipment facility Royal Wolf has leased 24,000 square metres for the storage of 360 containers. Lease commenced in July 2016 for 12 months plus a three year option. Annual Rental $96,000.00 plus GST. approx. 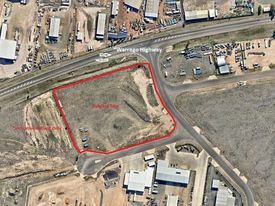 This industrial property is situated on the eastern side of Roma with direct access to the Warrego Highway All services, including town water, are connected except for sewerage. The property is zoned "Industrial" under the Maranoa Regional Council Town Plan and contains a land area of 1.613 ha (4 acres) The property has Type 2 road train access and improvements include: Security fencing; 300 m2 metal shed plus an undercover area of approx 300m2 and a 75 m2 lock up workshop; three phase power supply to shed and workshop demountable buildings available offices, accommodation and kitchen 2 x 23,000 litre rain water tanks; and The total yard area has hardstand Sale Price: $850,000.00 excl GST approx. Vacant Industrial Site Present All Offers! Roma Downs Road adjoins Roma East Industrial Estate Near Enerflex and Power Energy Services 1.13 hectares Road frontage: 236 metres approx. 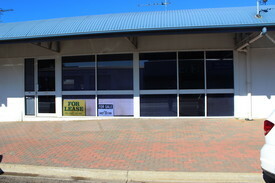 Buildings: 2,000 square metres of floor area + carports Includes showroom, workshop, facilities, offices, spare parts and additional storage Land: 7,050 square metres of extensive concrete hardstand Three street frontage Significant commercial property with good frontage to Bowen Street (Warrego Highway) and located within the main commercial area. approx.